Every cat deserves a loving forever home. Forgotten Friends of Long Island have been providing the local community with loving cat adoption for years. We take pride in finding happy homes for our rescue cats. Meet these two cutie kitten brothers. They must go together, 3 months old both males,shy but very sweet. We grew up in a nice mans shed and now we are looking for our furever home. We are happy to be indoors and we love seafood! Lizette is a young cat about 1-2 years old that is shy at first but with patience and love slowly warms up. She loves her buddy smokey with whom she eats and plays. The two are almost inseparable so if you have room in your home and heart for this bonded pair they are perfect. 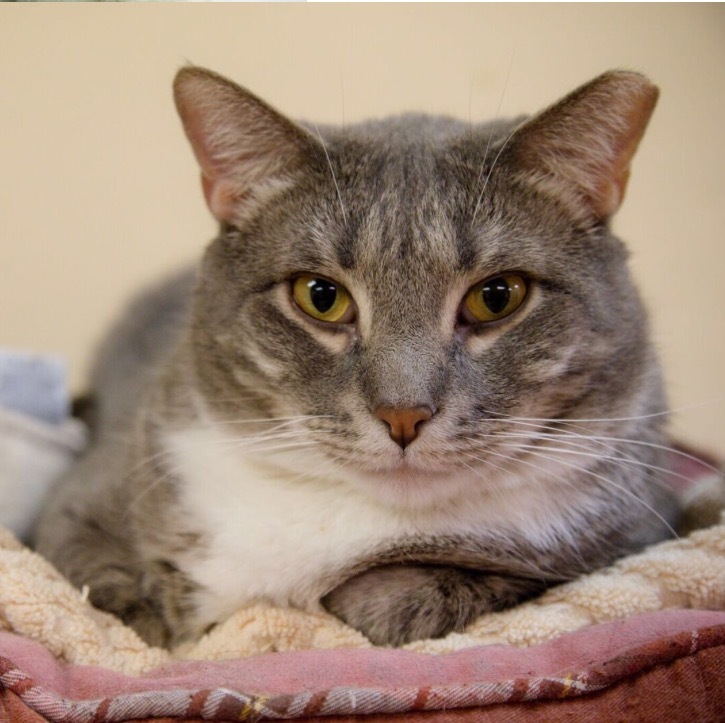 Smokey is a handsome 5 year old gray and white tabby that lives outside for a long time and now would love to be in a nice warm and loving home. He enjoys playing and socializing with other cats. His best friend is Lizette, they are in love and really need to stay together where with patience and love they can flourish. 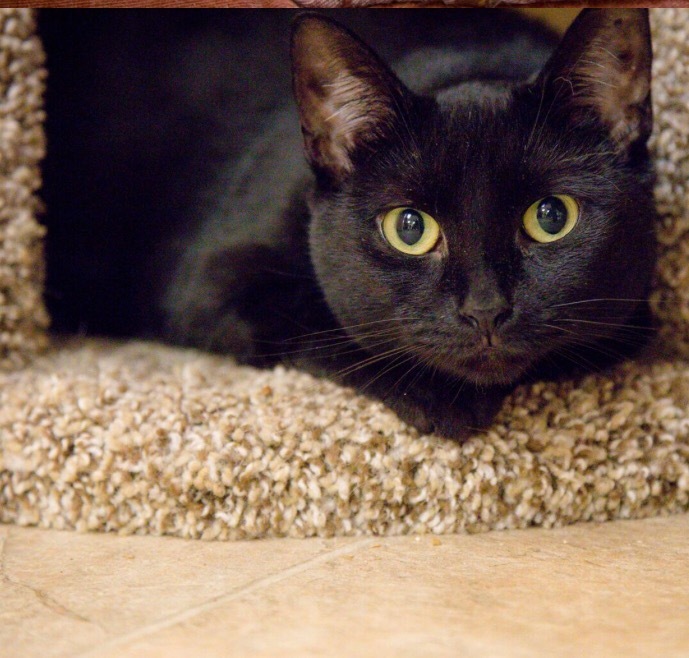 Kaitlyn is a beautiful 2-3 year old female with a gorgeous black shiny coat. She is very shy and timid around humans so she would need someone with experience with cats and a patient home where she can feel safe and loved. She does get along with other cats. I'm a 1 year old that was a stray and trapped while pregnant. I had my kittens and now they are adopted so now i need my furever home too! im very affectionate! Mama Bear and her brother BabyBear lost their daddy and the only home they have ever known when he passed away unexpectedly. 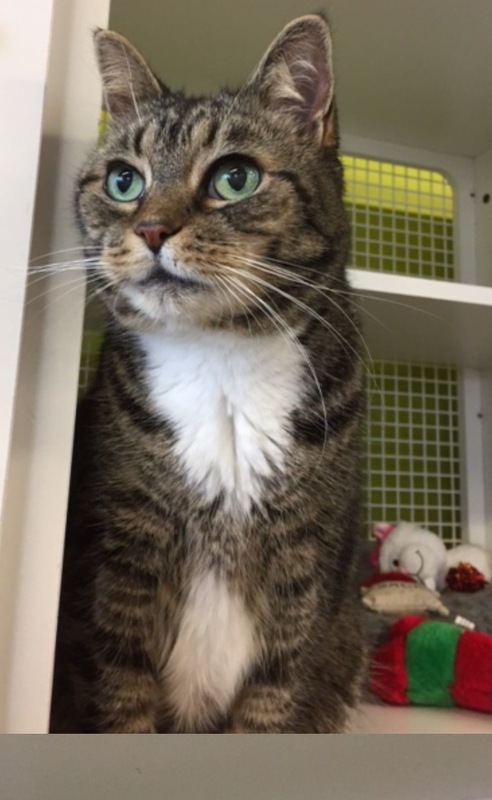 MamaBear is a 6-7 year old brown female tabby and would loved to be adopted with her brother! Forgotten Friends of Long Island is proud to take in rescue cats and find homes for them across Nassau and Suffolk County. We have been providing our cat adoption services for years and have become a trusted by many animal lovers in the area. We are a non-profit organization, with all the money going to help our rescue cats and dogs. If you think you have a perfect home for one of our cats, please contact us today. The number to call is 516-719-0808. We can provide you with all the necessary information about our cat adoption policies, as well as any other information you may need in the process. Help us find a new home for our cats.